FORT HOOD, Texas - Everyone makes mistakes. It's a fact that can be said a million different ways, but the sentiment remains the same regarding fixing mistakes. Take responsibility for the mistake and set about making it right. 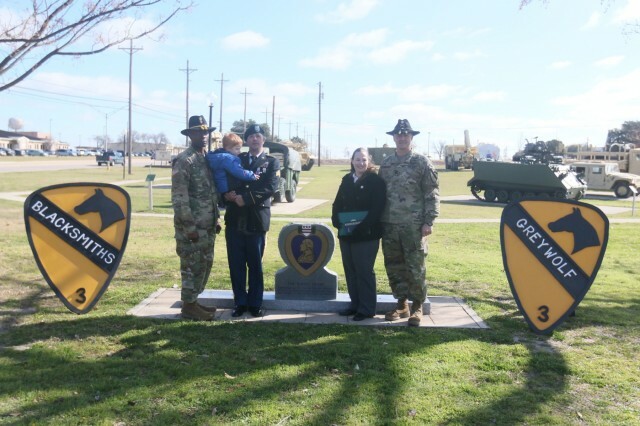 The 215th Brigade Support Battalion, 3rd Armored Brigade Combat Team, 1st Cavalry Division had the opportunity to right a wrong that had gone unaddressed for far too long. Sgt. 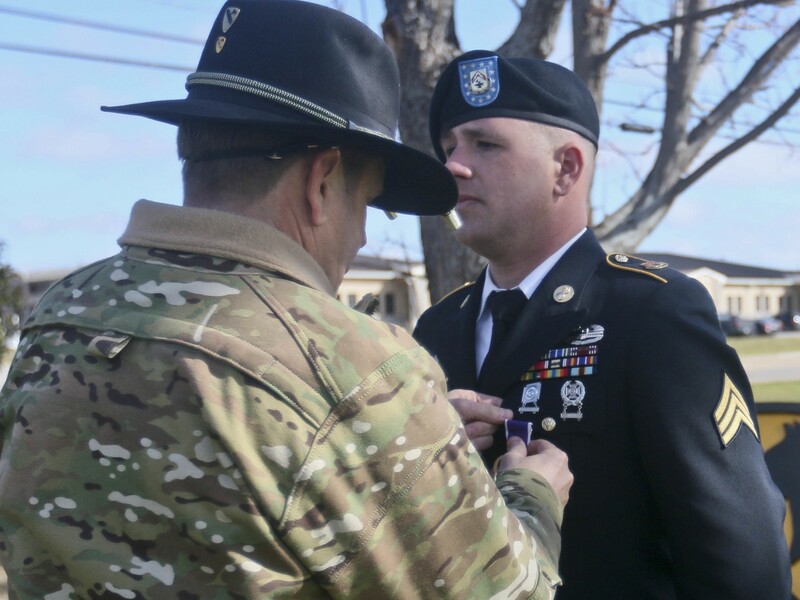 Darik Stevens, a Newburgh, New York, native and former mechanic with the 215th BSB received a Purple Heart Jan. 22 at Fort Hood, Texas, an award he had waited on for five years. 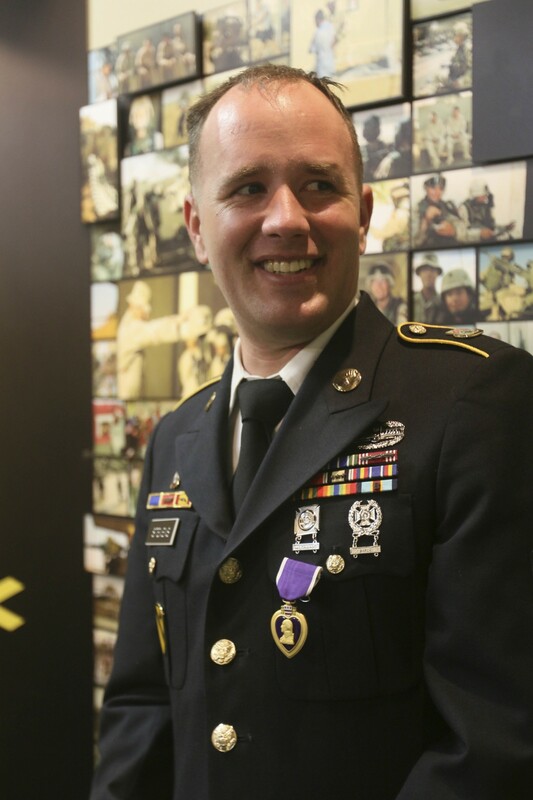 Stevens suffered a traumatic brain injury when his vehicle struck an improvised explosive device during a convoy in southern Iraq March 7, 2011. Through the redeployment process following his tour in Iraq, the award was misplaced before it could be processed and presented. Time passed, Stevens received an honorable discharge from the Army and faded into his new life as a civilian. While recently inspecting old deployment containers, Soldiers with the 215th BSB came upon the award paperwork and contacted Stevens right away. Upon his confirmation that he had not received his medal, they command set about resigning, resubmitting and processing the paperwork to ensure he got the Purple Heart medal he deserved. "It was amazing," said Stevens. "In the end I found people that were very knowledgeable in what they did, so we could get it pushed up." After the packet was finalized and approved - a process that proved to be extensive, Stevens received the long-awaited phone call informing him that he was approved for the Purple Heart. "When I got the phone call I was happy, but it was also like this four-year ball of stress just coming off my shoulders," said Smith. Five years later, Stevens has finally received the medal he never imagined he'd get. "In most cases, an award is something that is presented to a Soldier for the actions that they did," said Lt. Col Steven Erickson, commander of the 215th BSB. 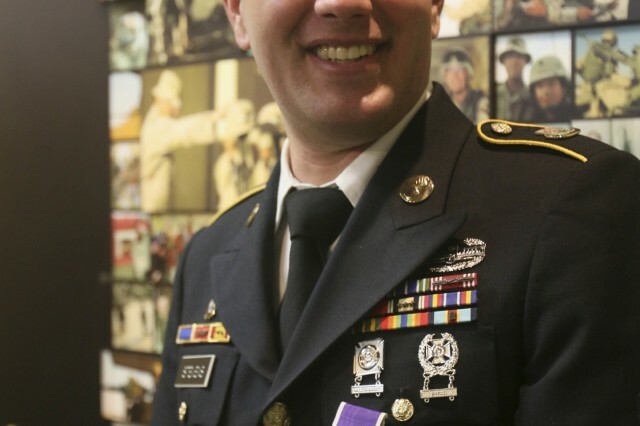 "In this case, being a Purple Heart, it's nothing that they did, it's something that they went through, which makes this one more important, I think." 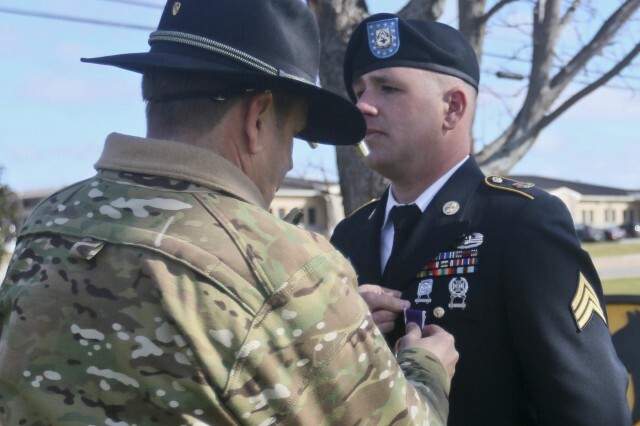 Smith, who was honorably discharged from the Army in 2015, was admittedly thrilled to don his Army Service Uniform one last time to receive the medal he earned through his pain and suffering. "I'm just happy that everything went through," said Stevens. "It finally happened. It was wonderful." BROLL of the ceremony can be found at the link below. The interviews can be found at the link below.